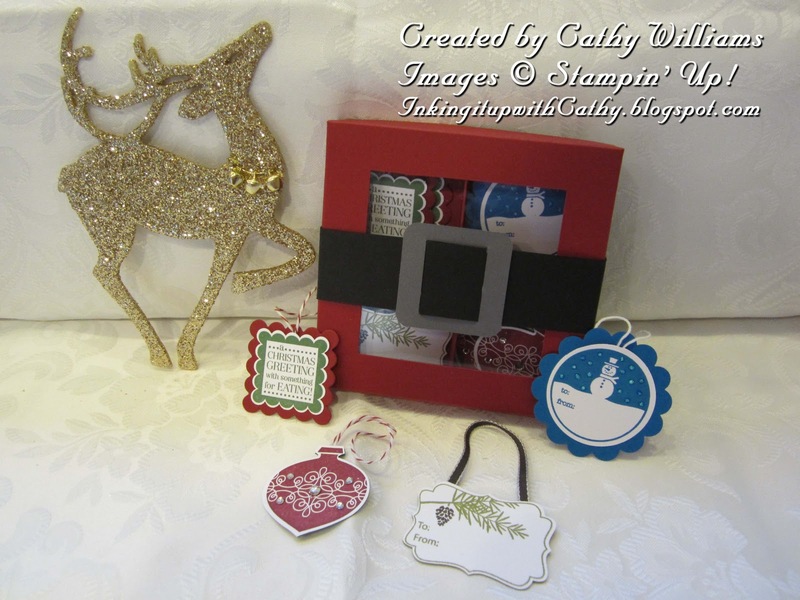 We are half way through my gifts today with this little tag set for the Twelve Days of Christmas swap. I saw this box made several years ago and thought it was so clever how it immediately made you think of Santa's red suit. I finally decided to make one of my own and I think it turned out pretty well. The little box holds 16 tags.